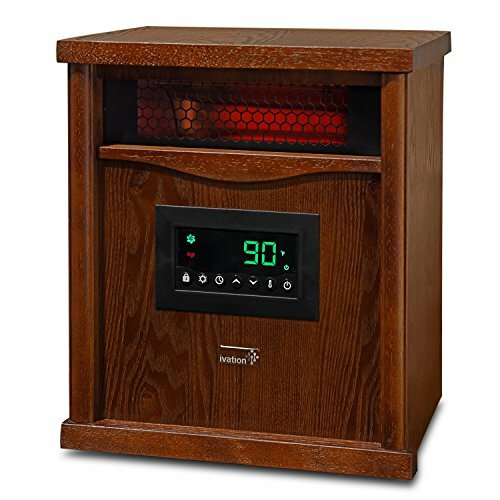 What Is an Infrared Heater? How Does it Work? 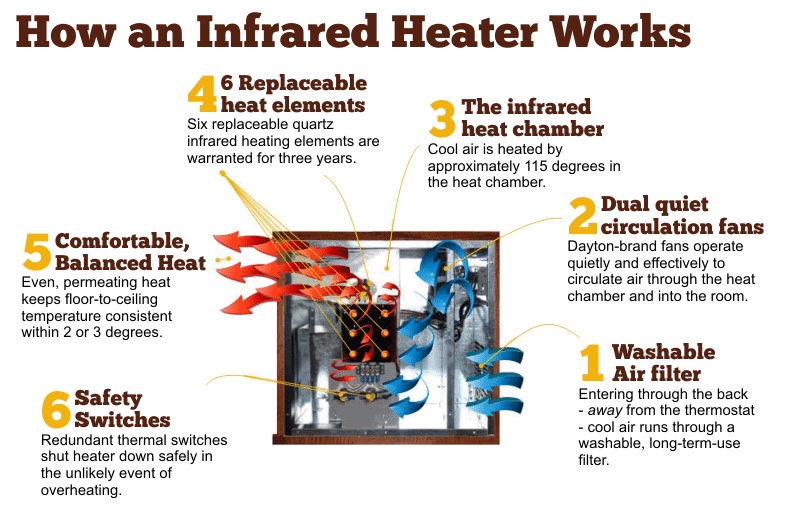 If you’re considering replacing your space heater or looking for something to warm a room in your house, considering infrared heaters may save you money and energy. Unlike traditional heaters, infrared ones provide energy-efficient heat solutions with even heat distribution and a variety of stylish looks. Knowing what to look for in an infrared heater, however, can ensure you that you find the right one. 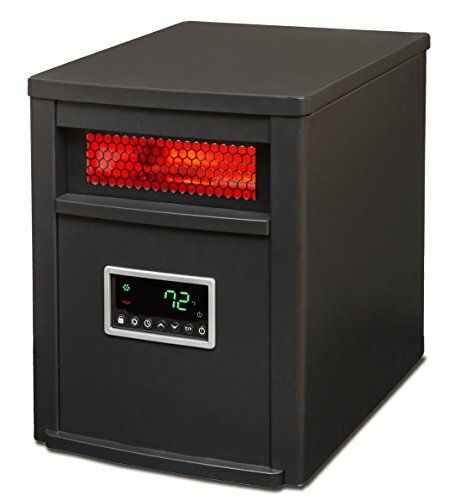 An infrared heater is a heat source that transfers high heat through electromagnetic radiation. On the light spectrum, infrared operates just outside our visible range so we cannot see it. However, like the sun heating the Earth, infrared works by vibrating particles, causing them to oscillate and release energy. This release of energy transferred as heat energy, warms the surrounding area. It heats objects directly and can be operated without air. With traditional heating, the air becomes dry and hot, but infrared heating works differently. No hot air is lost through ventilation, instead the particles themselves gain energy, which causes them to feel hot. This means the heat is locked within the objects that become heated, making it a far more energy efficient method of heating. There are three types of infrared heaters; near, medium and far infrared. Near infrared heaters are generally used for cooking, welding and thermoforming as they heat up to temperatures around 2370F, operating in between 0.75 to 1.4 microns. The emitter is usually made of quartz, accompanied by reflective materials to direct the heat in a certain direction. These are not suitable for heating homes. Medium infrared heaters, often used for glass blowing and smelting, produce temperatures between 930 and 1470F, operating at around 1.4-3 microns. Typically, they house a quartz emitter which consists of a heated wire in a quartz tube, although some versions have ceramic emitters. These are often used in industrial and public ‘space’ heating and are far safer than Tungsten or halogen. Far infrared heaters emit temperatures below 212F, and unlike near and medium infrared, they don´t emit any visible red color. They operate in wavelengths of over 3 microns and tend to use nickel or carbon fibre heating elements. This is the type of infrareds used in domestic and commercial heaters. Infrared heaters are far more efficient than traditional heating. The traditional ones heat air and blow it around using convection or simply pushing air with a fan. This is inefficient as hot air can escape through places that aren’t insulated or through gaps on the walls and windows. Heaters that run with infrared heat objects directly by vibrating the particles, reducing the loss of hot air. Heat is more evenly distributed with an infrared heater as all objects in the room are heated directly. Traditional heating, however, needs to heat the air first, which makes it flow towards cold spaces, creating an uneven heat effect. Besides,, hot airl rises too, creating an uneven distribution lower down, resulting in cold pockets. Because traditional heating warms the air, it causes water particles in it to evaporate. This is very dehumidifying, which can be hard on the skin, the eyes and the respiratory system. Infrared heating does not dry the air, avoiding such issues. Moreover, traditional heating loses heat through poor insulation and cracks because of air loss, which means that these types of heaters need to work much harder to maintain the same heat levels. Often working between 180 and 220F, traditional heaters tend to use much more energy. In comparison, infrared heaters function between 100F and 130F and are able to maintain this heat consistently . This makes them far more energy efficient. 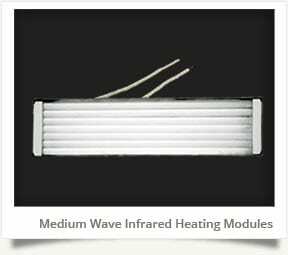 When choosing an infrared heater, there a few features you should look out for. Firstly, for the best energy efficiency, you want to look for an infrared heater with a thermostat that automatically regulates the temperature. It should turn off when the desired temperature is reached, preventing energy waste. You need to consider the area you intend to heat. Choose a heater that has the capacity to handle the square footage of your room. As a rule of thumb, 34.1 BTU (British Thermal Units) will heat 1 square feet. If you are looking for a portable heater, a heater with swiveling wheels is ideal. Equally, consider the weight as you don´t want it to be too heavy. Quartz bulbs tend to have the longest life and are therefore the most durable types of infrared heaters. Equally, cool-to-touch exteriors are not only safer, but also tend to last longer. Heaters with shut-off safety features prevent the elements from blowing, increasing durability and lifespan. You may also want to consider the style. 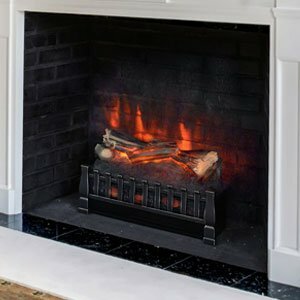 Infrared fireplaces have a beautiful design but can be somewhat cumbersome if you want to move them around. Alternatively, you can find lightweight that less aesthetically stimulating heaters can be mounted on the wall or stored away if necessary. 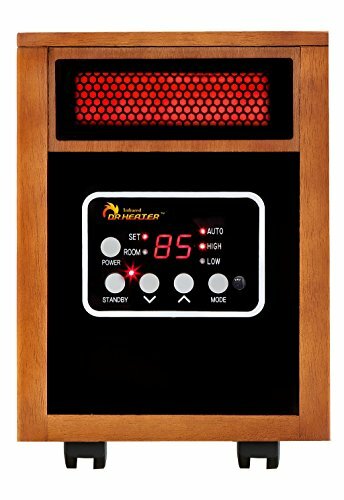 Below are reviews of some of the best infrared heaters available. Varying in style and size, each one has different features that may or may not suit your specifications. Be armed with what you want when buying and consider these as some failsafe options. Capable of heating 1000 square feet of space, this model comes with a built-in humidifier. It comes on rolling casters and features a removable filter for easy cleaning. It features a moving fan to distribute the heat and can be operated by remote control. It’s portable and can be moved around on its wheels. Remote control operation makes it more user-friendly. This model is very powerful and able to heat a large area. 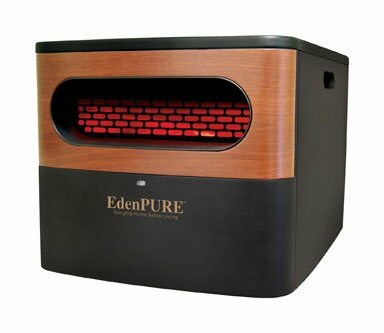 The built-in humidifier helps to keep the air moist to prevent any respiratory issues. It’s quite loud when in operation. Due to all the features, this heater uses a lot of electricity. Users have complained that the remote control doesn’t work very well. This is quite a comprehensive heater and offers a range of different options for a more comfortable heating experience. Although, this comes at the price of high electricity usage and a loud noise, it is a great option for heating large spaces. This heater features a quartz heating element that also heats up to 1000 square feet of space. It has a rolling, pulsating log fire design to create a homely feel, which can be operated with or without the heat. There is a remote control to operate it. The log lights have two different brightness settings. The logs look quite realistic, creating a homely atmosphere. It is very easy to use and can be up and running in two minutes. It doesn’t use a great deal of electricity but heats a very wide space. The blower is very loud. It can take a long time to heat up large spaces. A cozy heater that is applauded for its realistic fireplace feel can keep large spaces evenly heated, but may take a while to do so. Its humming noise can be annoying, but the pleasure of the fire-feel and the convenience of the remote control overshadow the hum. Featuring a digital thermostat and a 12-hour start and stop timer, this model has 3 heat settings, including an eco-setting.It has an air circulation fan and a removable filter. It comes with a remote control and has a digital display. The removable filter makes it easy to clean. It rolls around easily and is simple to transport. The digital thermostat allows for precise heat regulation. The eco-setting only uses 500 watts, making it energy efficient. The infrared elements are not reachable, making it a great solution for people with children. It doesn’t heat large open spaces well. While this is a great supplementary heater, it is perhaps not the best as a primary source of heat. That said, it is more safe for children, energy efficient, and easily portable. This heater is designed to be compact and lightweight while still heating 1000 square feet. It features a fan that can operate without the heat, for summertime air circulation, and an electric thermostat. It has a remote control and an air purification kit that can be purchased additionally for an upgrade. It only weighs 15 pounds so it is easily portable. It is compact enough to fit on a shelf yet still heats a large space. It has a timer which will automatically turn the heater on and off. The company is very big on safety, so it comes with a tip-over safety function and touch-safe exterior. It doesn’t come with wheels. This model is great for people looking to integrate a heater into their home without giving up a lot of space. It is convenient to use due to the automatic timer, the shut-off and the remote control. It is stylish looking and heats large areas, while also being a safer-than-usual model. This heater has 3 heat settings, including a eco setting. It has an attractive wooden casing and a digital display. It features a child lock as well as a tip-over shut-off and cleanable air filter. It can apparently heat up 1000 square feet with temperatures of up to 90F. It has a beautiful wooden finish. This heater is very compact and unassuming. This has excellent safety features, making a good choice for parents of young children. There are pre-set temperatures for convenience but those temperatures can also be adjusted. It is quite loud when in operation. It doesn’t heat up well large open spaces. This heater is most suitable for smaller spaces. Perhaps better described as a mini heater, it does include a whole range of safety features which can put parents’ minds at rest. A very attractive heater, this model is also fairly energy efficient. Infrared heaters can prove to be a far more energy efficient way of heating space than traditional heaters. With all the benefits of not drying out the air, more effective heating, and lower costs of electricity bills, using infrared seems to be a cleaner and greener solution. When purchasing your infrared heater, always take into account the size of the space you´re heating and the aesthetics you are looking for. From fireplaces to digital display, infrared heaters come in all shapes and sizes to suit all customers.